BABW Communication on Safe Chat Changes! We are sure you and your Bearville Insiders have noticed our recent changes with chat types. We are currently reviewing our in world communication and taking actions to make our virtual world an even safer place for kids to play. While we are reviewing our in world communication, we will only be offering Safe Menu Chat. Since the majority of the citizens in the world use Safe Menu Chat already, we don’t expect this change to impact the experience and fun in Build-A-Bearville. Nevertheless, we are working to provide additional Safe Menu Chat phrases so that citizens can continue to communicate with each other. We hope to have these phrases incorporated into the site before the weekend begins. Let’s continue to support our friends at Buildabear as they take these efforts to increase the safety and FUN on the site! Thanks and appreciation to BABW for the communication!! As many of you already have seen, the October Paws Fur Nature magazine was all about penguins and, by passing the quiz at the end, you are given the "Waddle move" which allows you to waddle like a penguin. This penguin focus is no coincidence! Thanks to a tip from starlayodelbear in our Bearville Insider Forum, we have news and a picture of Chilly Cheeks Penguin which will be coming to Build-a-Bear Workshops on November 1st! For those of you looking to do some early Holiday shopping, Build-a-Bear has the price of 7 Furry Friends set at $10 now! These $10 animals are: Lil’ Vanilla Cub, Blue Cuddles Teddy, Kuddly Koala, Pink Cuddles Teddy, Lil’ Buttercream Cub, Lil’ Honey Cub and the new Brown Sugar Puppy! We’ve also received word that on November 1st, along with the new virtual rides being available in the BABW stores, a holiday flyer will announce 4 bears whose prices will be dropped to $12 for the Holiday season, as well! There’s also some rumored news of a retirement: the Tabby Cat is on BABW’s list as the next retiree! New Bearville Times — Virtual Rides Coming Soon! It’s October 16th, so the new Bearville Times has just hit the virtual news stands in Bearville, check your PDAs for to see the new information first hand! Starting October 22, we will be able to buy a new room at the Lumbear Yard — We finally get an attic to add to our Condo! October 22 also marks the beginning of the election campaign where we get to choose the new Ambassador of BABV — Our choices will be: Bearemy, Pawlette Coufur and Brown Sugar Puppy. Pick up your Voter Registration Card at the Libeary from October 22 and then November 4 we head to the polls, just like the adults do in the USA! How exciting! According to the Bearville Times, we also have three new furry friends to look forward to in November. The Turkey arrives November 1 and his PSI is the Turkey Balloons. Hal Moose arrives November 6 and his PSI is Antlers. Holly Moose also arrives November 6 and her PSI is a Necklace. The Theater in Fashion District will officially open on November 1 and there will be a special sneak preview of the holiday adventures of Hal and Holly Moose. Here’s a few pictures of the 3 new furry friends, aren’t they PAWsome? Now on to the most exciting news, the virtual rides are coming soon!! As Justin predicted about a month ago, the first virtual rides will be a hoverboard and a propeller hat, and now we have word of a scooter, as well! It appears that you will have to buy these virtual rides in your local Build-a-Bear Workshops and activated them online. They’ll come with 10,000 Bear Bills and you can choose whatever virtual ride you want when activating it. The entire staff here is extremely excited to hear that they’re just around the corner!! Here are some better pictures of the new rides that you can only partially see in the Bearville Times! Along with the new items added to Bearville today and the Alyson Stoner upside down move, the Paws Fur Nature magazine has been updated for October! This month’s issue is all about penguins, specifically the Adelie penguin. Read the issue carefully and complete the short quiz at the end and you’ll receive the Waddle Move. Amazing, two new moves in one day! Here’s a picture of me doing the Waddle Move in my Cub Condo! As promised, The Chloe Show with ChloeRocks interviewing Alyson Stoner was put on-air today in Bearville. I’ve never seen The Chloe Show before, but I was really impressed with the quality of the show created by Build-a-Bear! The interview focuses on Alyson’s most recent movie, Alice Upside Down, and tells us a bit about Alyson and who she is. At the end of the 5 minute interview, Alyson gives everyone a gift: The Upside Down Move! It’s a really PAWsome move and you’ll only be able to get it by watching The Chloe Show, which runs until October 29th. Here’s a picture of Alyson showing us all the move! BREAKING NEWS: New Costumes, Cake, Cauldron in Bearville! There a few new costumes available in the Bear Boutique. 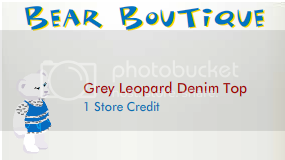 For Character: A Grey Leopard Denim Set and a Girl Pirate Costume , White Strap Shoes, Grey Leopard Ballet Flats. 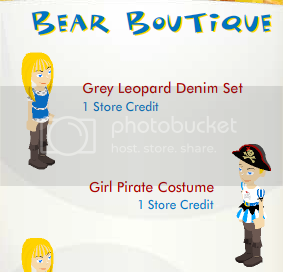 For Bears: A Girl Pirate Costume and a Pumpkin Costume, White Strap Shoes, Grey Leopard Ballet Flats, Grey Leopard Denim Top. 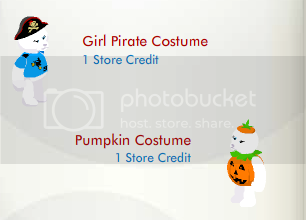 And in Paulette’s Coufur there are two new costumes. 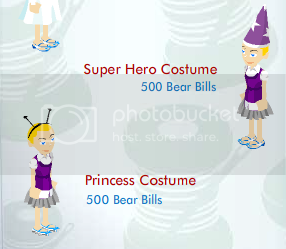 It says SuperHero Costume and Princess Costume but when purchased the SuperHero costume comes with a Wizard Hat and Grey Leopard glitter shoes and the Princess Costume comes with a Girl Pirate Skirt and Bumble Bee hat (antennae). I’m sure that’ll be fixed later today. There is a new Kooky Spooky Cake and Cauldron to be bought in the Bear Stuff Store. Thanks to AmandaBearLove for spotting a bouquet of flowers also in the Bear Stuff Store. She reports that they’re on the page before the cauldron and look so much nicer than the ones before! One of the users in our forum, BeccaOBeary, discovered that Bearville has started the Columbus Day celebration a day early! We expect that the Columbus Day gift will still be available on Monday, as well. Don’t forget to visit the Town Square and click on Bearemy, though, as you probably won’t be able to get the Columbus Day Hat again! Here’s a picture of her with the hat on! BREAKING NEWS: Alyson Stoner On The Chloe Show Oct 15-29! Ever since the October 1st issue of the Bearville Times, users here at Bearville Insider have been trying to figure out who the newest mystery guest to The Chloe Show was going to be. The speculation is over! If you log in to Build-a-Bearville today, you’ll notice a new banner in the Town Square: October 15-29 Exclusive Alyson Stoner Interview! Alyson has been in a variety of movies and TV shows, with best-known roles in "Cheaper By The Dozen", "The Suite Life of Zack and Cody", "Mike’s Super-Short Show", "Phineas and Ferb", "Camp Rock", and "Alice Upside Down". We’re all looking forward to her interview with ChloeRocks! BREAKING NEWS: October 8th Hidden Gift Discovered! For those that are a little more impatient, you may click the following link below to bring up an image to show you the exact location of where to go and click for your free one-day-only gift (circled in blue). It’s a great gift, with a Halloween theme, make sure that you all remember to go and grab it today, as this free gift will only be available today! 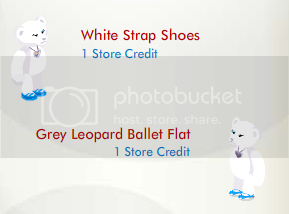 Here’s a picture of what Build-A-Bearville gave out, for those that ended up missing it.